South Devon Railway - 1450 Leaves again ! SOUTH DEVON RAILWAY – 1450 Leaves again ! 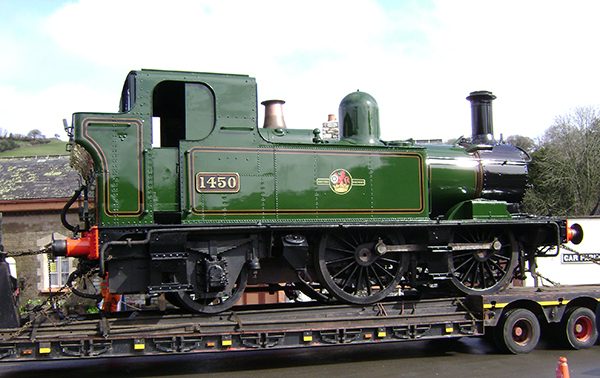 Having spent its initial years in preservation on the former Ashbrton Branch, former GWR 0-4-2T 1450 returned for the SDR’s 2013 Winter Gala. Following on from this event 1450 went into “B” shop to be repainted into a sparking fully lined later British Railways green livery. On Saturday 16th March 1450 was outshopped and put on a low loader for the Severn Valley Railway.